CLEVELAND — The statistics are alarming. Only one out of every two foster kids leave the system at 18 will have some form of gainful employment by the age of 24 and seven out of 10 girls will become pregnant before the age of 21. 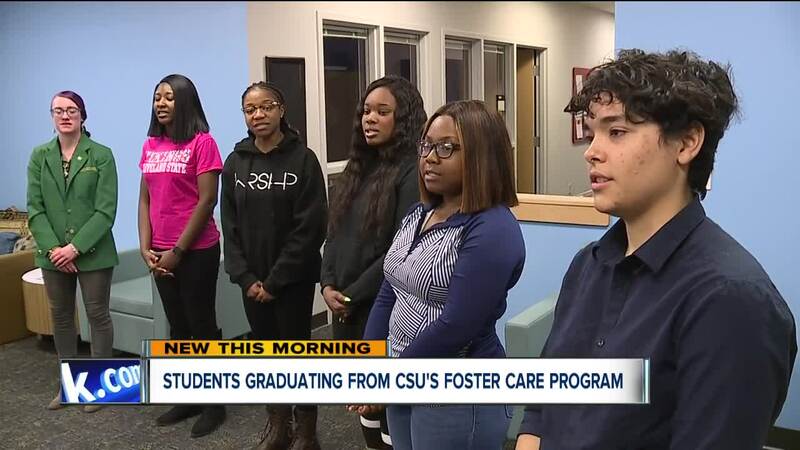 News 5 has been covering many efforts in our Northeast Ohio trying to reduce those numbers and Cleveland State University has joined that effort. “I learned how to get familiar with the campus day one, I was introduced to a plethora of professors and resources here on campus,” said MaryAnn Dowdell, a graduating senior at CSU and the first to graduate with their special scholarship program. “Learning how to not only access these resources but leverage them to our best ability. So, I know how to talk to professors, I know how to advocate for myself,” she said. She’s graduating in just three-and-a-half years, much earlier than expected. Both Dowdell and her classmate Makayla Lang are the first two students to receive and graduate this year with the Sullivan-Deckard scholarship at CSU. “What we have found is that an investment on this end prevents some of that wasted human capital for people who may not have had the resources,” said Jarret Pratt, Director of Student Services for CSU’s Pratt Center. The scholarship program was created and geared toward helping young adults who have gotten too old to be cared for in the foster system with a host family to properly prepare for adult life, assisting them with tools like proper study skills, housing, mental and emotional health counseling and more. “When they come on campus those realities are overwhelming, so you need people to sort of stand in the gap for you, to create that underlying success to sort of design your pathway,” said Pratt. Along with the new scholarship, CSU just opened the Pratt Center, on campus, which serves as a safe place for students like Dowdell to focus and find comradery. “When I say I wouldn’t know where I would be, probably working somewhere in retail, I don’t know. But I would never give up this opportunity for anything,” said Dowdell. The center and scholarship were the brainchild of Dr. Charleyse Pratt, who has since passed away. There are currently 17 students in the scholarship program so far. Leaders say the combined effort is giving these students the confidence to live successful lives and hopefully put a dent in statistics that lead to things like homelessness and addiction for kids who age out of the system and have little direction on what to do next. Scholarship applications for the 2018-2019 school year are now being accepted.